The kids and I recently discovered The Escape Room. For a recovering rpg junkie like me, this may turn out to be my new drug of choice. 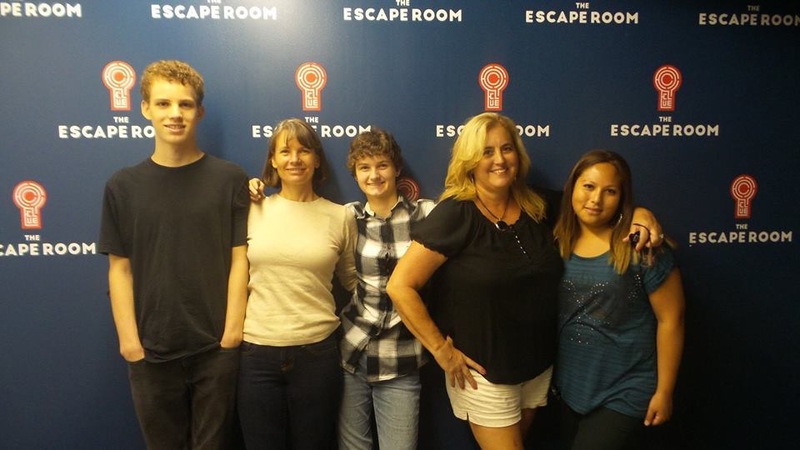 The basic premise is that you and your group are locked in a room, and you have one hour to figure out how to get out. There are puzzles to solve and clues to follow, and the room is actually a series of rooms and you’re never sure whether that next door is going to lead you out of the game or just into the next set of puzzles. I first learned about The Escape Room on a Fort Worth subreddit. I did some research and found nothing but glowing reviews, so I posted a link to it on Facebook and my friend Mendy got as excited about it as I was. We decided to give it a shot. You start by choosing your “episode.” Currently there are four scenarios to choose from, all set in the same world with certain interconnecting story elements. We chose Prison Break for our first adventure. In this episode you are a group of tourists in Asia who get captured and imprisoned by a terrorist group. You have one hour to make your escape. Five of us played officially, plus a friend of Mendy’s who was doing a story about it. We each made our different contributions to the game: Elizabeth was super sharp at solving word-related clues, I did pretty well coming up with mechanical solutions to physical problems, and so on. Here is a three-minute podcast from Mendy’s friend’s series, “Texas Road Trippin’.” You can hear me for about two seconds in the middle. (Warning: mild spoilers for one of the first puzzles.) And here is the shorter, spoiler-free “Around Town” version. We had a blast. Next month we want to do the spookier “Confinement” scenario for Halloween. When we run out of episodes at the Southlake location, Google tells me that there are similar adventures to be had all over DFW, including one where you are trapped in a room with a zombie that is chained to a wall, and every few minutes the chains are let out a few inches, and if the zombie touches you the game is over.